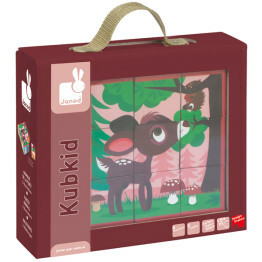 Tags: forest, janod, kids-games, kids-puzzles. 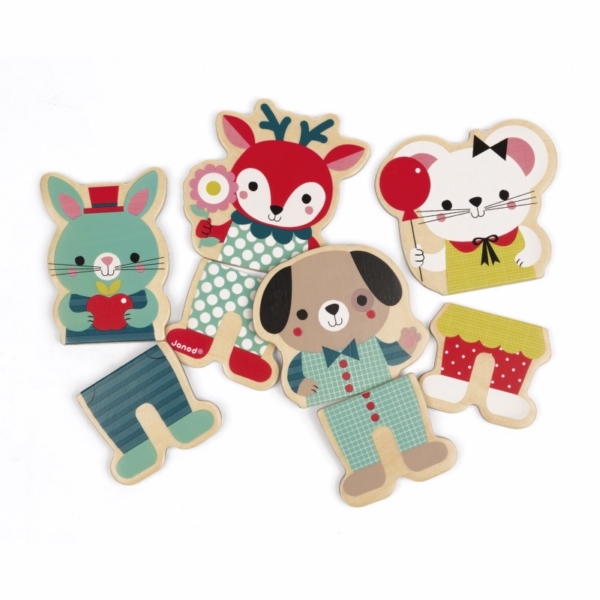 Have fun mixing and matching up these baby forest animal magnets! 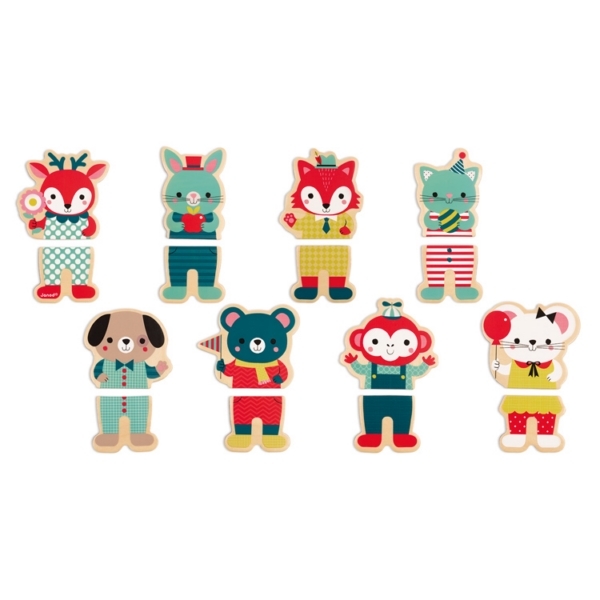 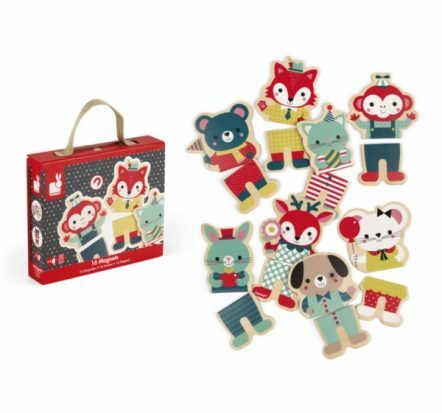 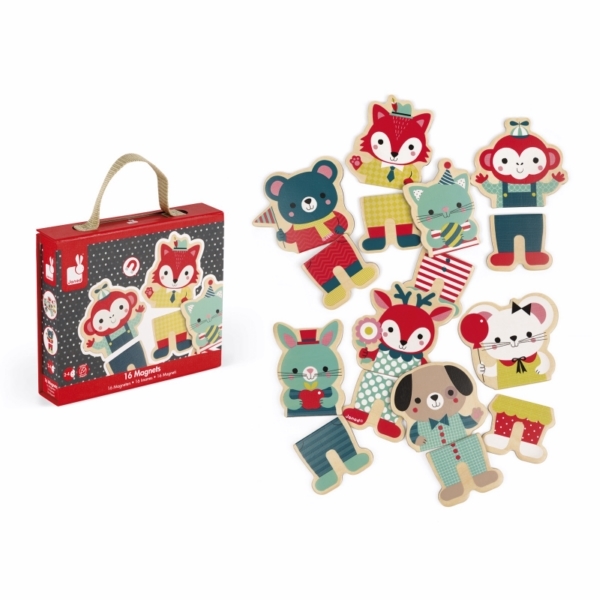 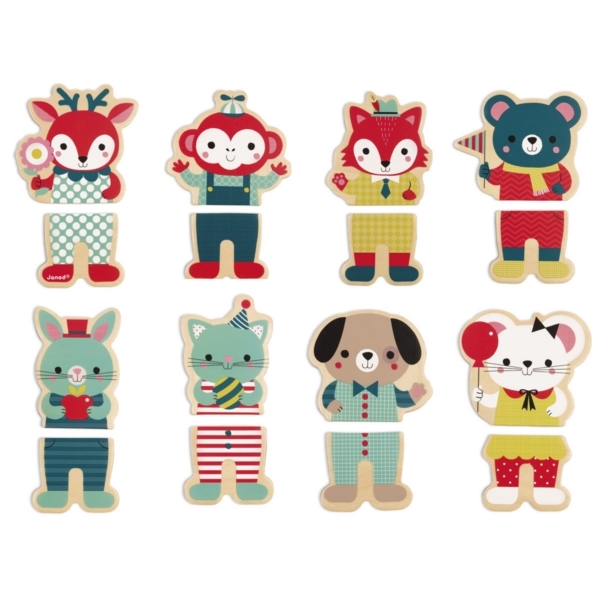 The 16 wooden pieces create 8 fun characters either in their correct tops and tails or make up your own animal creation! 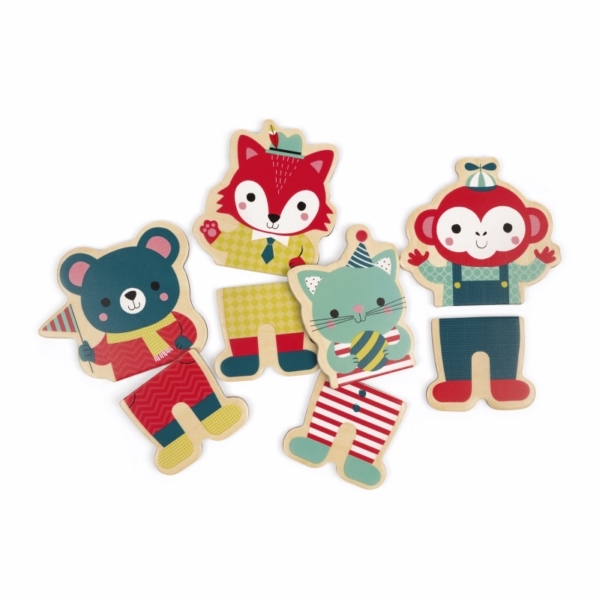 You can pop them on any magnetic surface! 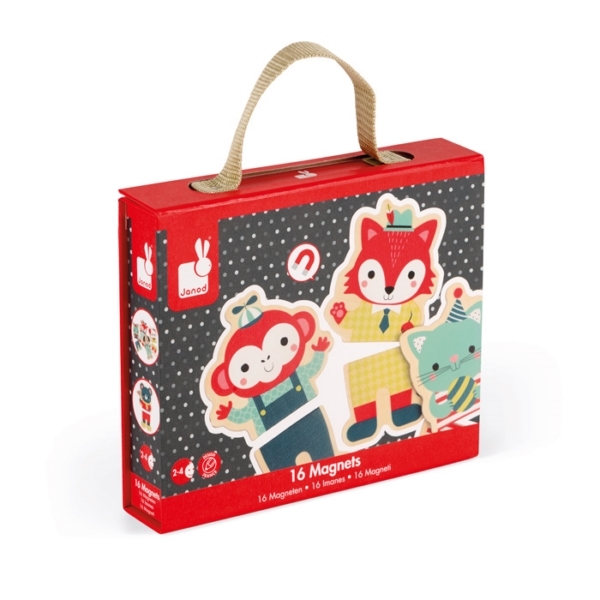 The Janod Forest Magnets set comes packaged in a sturdy carry case with handle for convenient storage and transport.